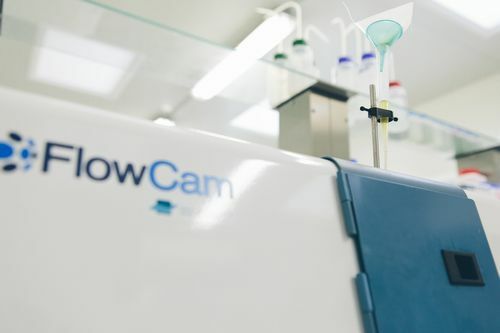 The FlowCAM (Flow Cytometer And Microscope) is and automated technique for particle enumeration that uses flow cytometry and microscopy, enabling near to automatic classification and quantification of phytoplankton in a water sample. Phytoplankton forms the basis of the food web, contains species that are toxic and is a good bio-indicator of environmental changes. Variations in phytoplankton communities may impact a wide range of species, ranging from zooplankton and fish to seabirds and marine mammals. However, studies of plankton are difficult to carry out because of their high diversity and spatiotemporal variability. In addition, traditional identification techniques are time-consuming and require highly qualified taxonomists. The Flanders Marine Institute (VLIZ) installed a FlowCAM as part of the Belgian LifeWatch observatory. From May 2017 onwards, phytoplankton is sampled at 9 onshore stations every month; and every season, the sampling occurs at 17 on and offshore stations. The samples are fixed with Lugol and stored for its posterior analysis. 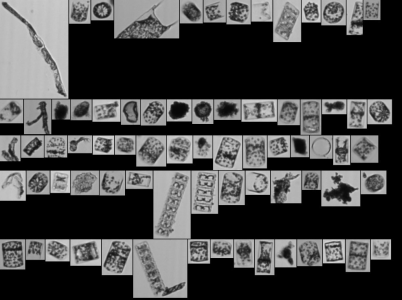 Once in the Marine Station Ostend (MSO), the samples are processed by the FlowCAM at 4X magnification to obtain good resolution images of size ranges of interest, primarily micro-phytoplankton from 55 to 300 µm. 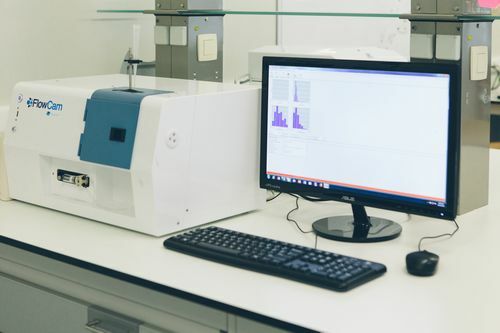 A gray-scale camera is used because it offers higher resolution quality for species identification and because of the fixed samples do not present fluorescent phytoplankton pigments. 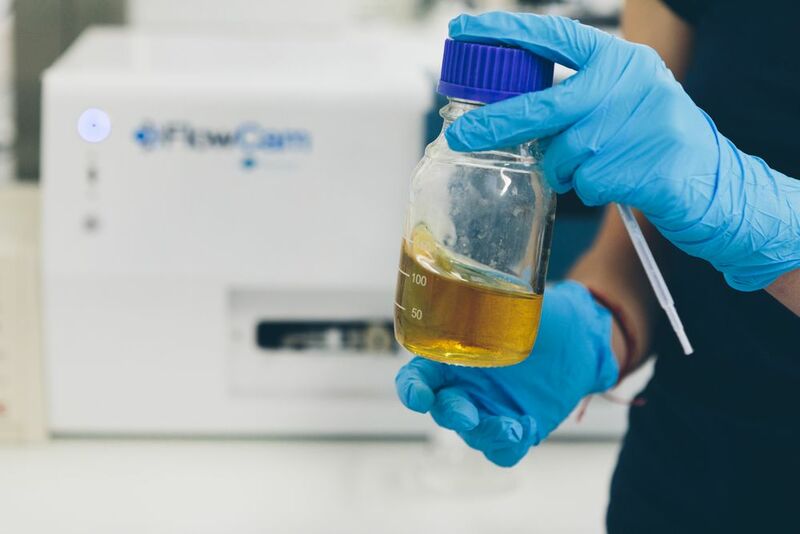 However, with the FlowCAM it would be possible to process the samples in real time without preservation based on the fluorescence of the pigments. 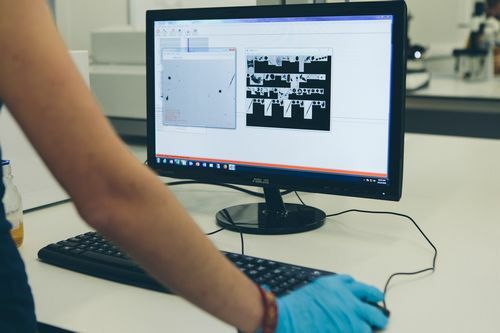 Once the pictures are obtained, they are processed with a software included in the FlowCAM (VisualSpreadsheet). This software makes automatic classifications into taxonomical groups by building statistical filters based on the particles properties of libraries. Those libraries are created by the operator to identify specific taxa with similar properties. After running the automatic classification in the software, the operator needs to verify the classification. Although this methodology allows to process a large amount of phytoplankton samples, the improvement of the recognitions algorithms and the resolution of the cameras would give us more accurate classifications that would require less human labor.